A couple of months ago I went to the New York Baby Show and got to see the latest products for pregnant mamas, babies and toddlers. One of my favorite picks of the show was the GB QBit Stroller. I was so impressed at how it folded up into a small cube and was super lightweight. About a month ago I was sent one for my review even before they came out to the public! 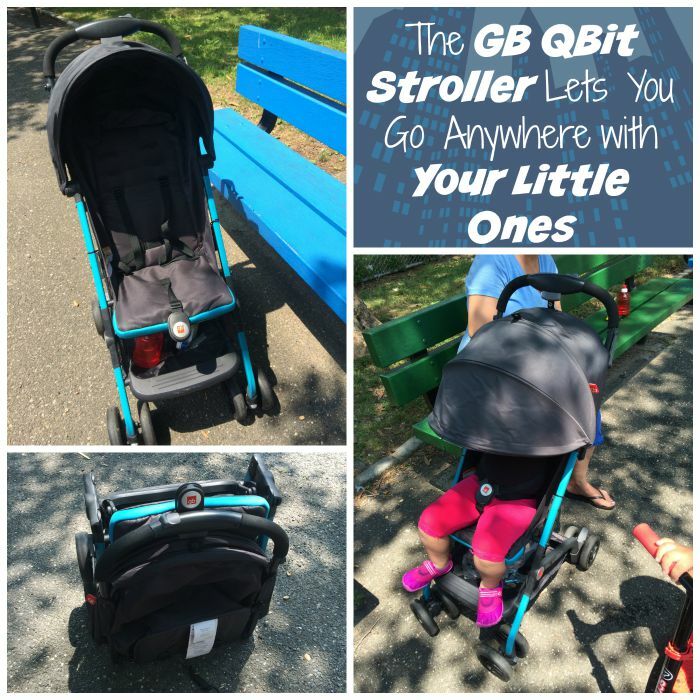 I have been using the GB QBit stroller for a month now and have to say that GB really thought out all the features that would be helpful to a parent. First of all I love that the stroller folds into a cube and stands up by itself. Every other stroller I have owned closed up long and narrow so I always had trouble leaning it against something to stand up or walking down the stairs with it being so long and banging all over the stairs. 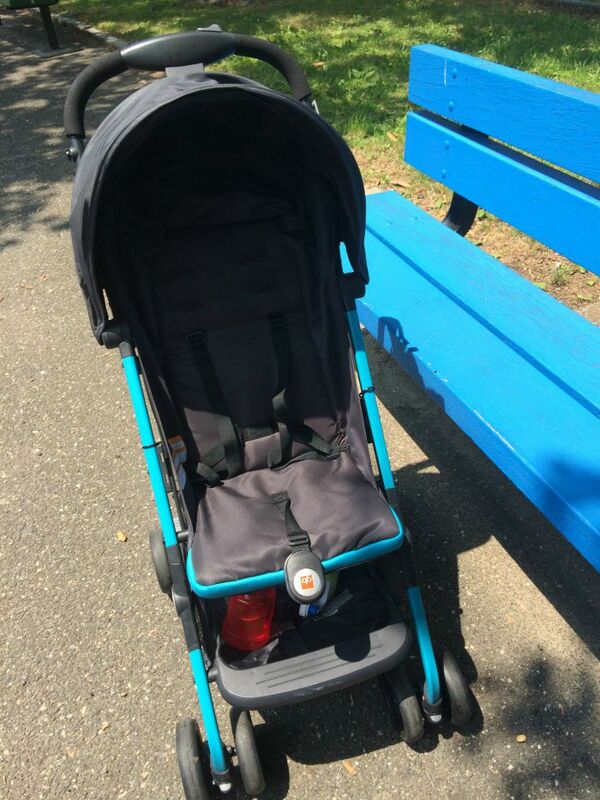 I take the QBit stroller with me whenever we are going to be walking for a long time and I know my toddler will eventually get tired. Since we live in NYC and take public transportation a lot, it's nice to have the QBit fold into a cube and fit right underneath the seat on the bus or next to the seat on the train. 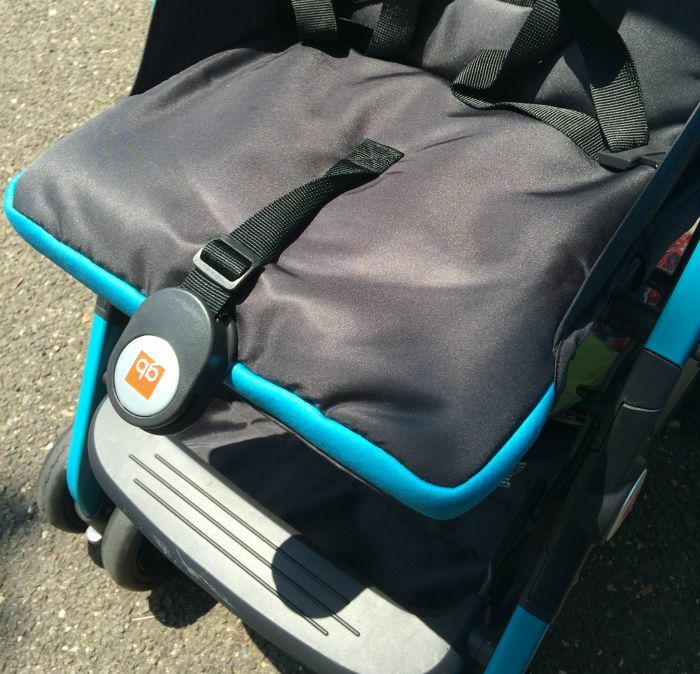 I also love that it has a handy little travel bag right underneath the stroller seat. This is especially useful to keep the stroller clean when are on crowded NYC trains. 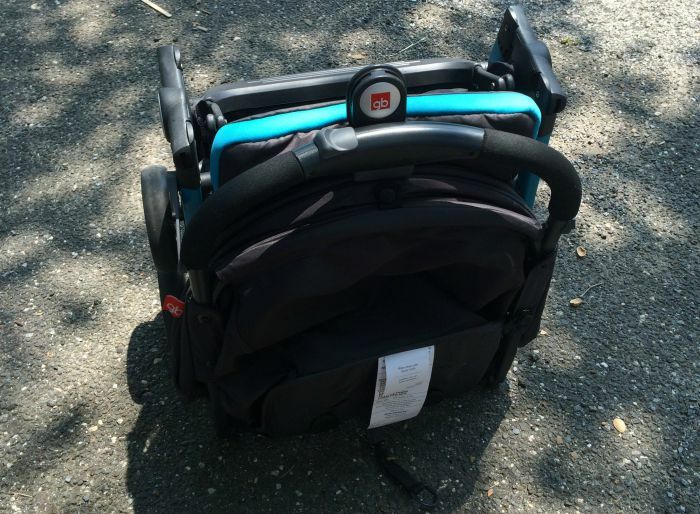 At only 15 pounds the stroller is also super easy for me to handle and really take it anywhere I am going. I feel completely safe as I hold my daughter's hand and the stroller in it's bag around my shoulder when we are walking down stairs. I love that the seat has a nice cushion and the harness makes my daughter secure. It also has a huge canopy that has great coverage when it is sunny outside. The spacious under seat storage is perfect for shopping trips or for my huge mommy bag and some toys. The GB QBit Stroller is now available at Babies "R" Us stores and babiesrus.com in three beautiful colors and at specialty stores in two more colors. That is an awesome stroller. I love the color, too. This stroller looks amazing! I love how it folds! I like a stroller that folds without me having to wrestle it around a ton. This would be on my list of must haves if we have another child down the road. I like how nicely it folds up and stands and the sunshade that goes all the way down. It looks like a nice one! The blue is pretty. 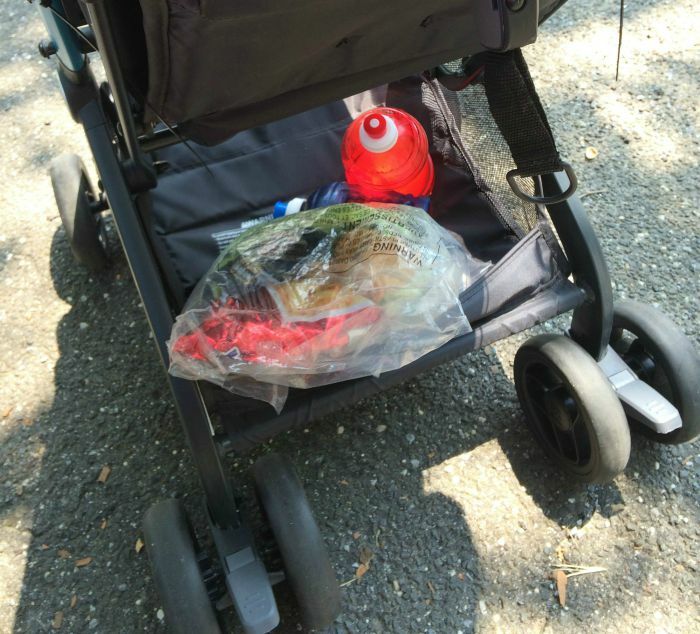 I have a jogger stroller that I love, but it's still a little bulky for many trips. This looks like a great option for me. I really love the cover. I always find strollers like this don't give the baby enough cover from sunshine, especially when they like to sleep. This looks great and love the folding too! Love how portable it looks...And it has a good sized canopy! This looks like a really great stroller. Look at all that storage space! How works this stroller reclining? Can babys have a nap there? Also, is a good strollers for tall-big boys? I'm in doubt between buy this one or Mountain buggy nano. Would you recommend this stroller for a tall toddler? My 28 month old is pretty tall and his mclaren stroller is way too low to the ground and he can easily drag his feet on the wheels, making it hard for me to stroll. Please help!! !